As the new year approaches, so does the concept of New Year’s resolutions. Everyone has an opinion resolutions – some are on board with it, and others think it is pointless. Whatever your stance may be, correctly-set goals are valuable … and they can be made at any time of the year. 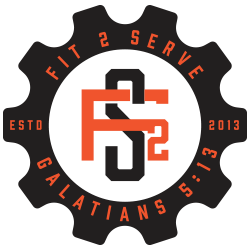 At CrossFit 2 Serve in Las Vegas, our overall goal is achieving fitness to serve others. However, within this macro goal, you are free to set your personal goals. Well-set goals lead to success. In the next two blogs, we are going to give advice on how to set goals the right way. Big dreams create goals. Propose the possibility of the big dream to yourself and write down all the benefits of it. When you are part of CrossFit to Serve, you can add bettering your community to the list! Time for research! Do it your way. Whether it’s meeting with a professional, spending hours on the internet, or attending a presentation, there is no wrong way to learn more about your goals. You’re preparing for action, and you need to stay true to yourself. Trying to be someone you aren’t is the quickest way to discouragement. When you join CrossFit 2 Serve, you join more than just a CrossFit community: you join your entire city’s community. As a result, you get twice the fulfillment from your efforts. When you focus on others, you can reach heights of fitness otherwise impossible. Learn more today!